I've never really done any looking into fatty bikes. But I can definitely see their benefit on those quick, loose climbs. 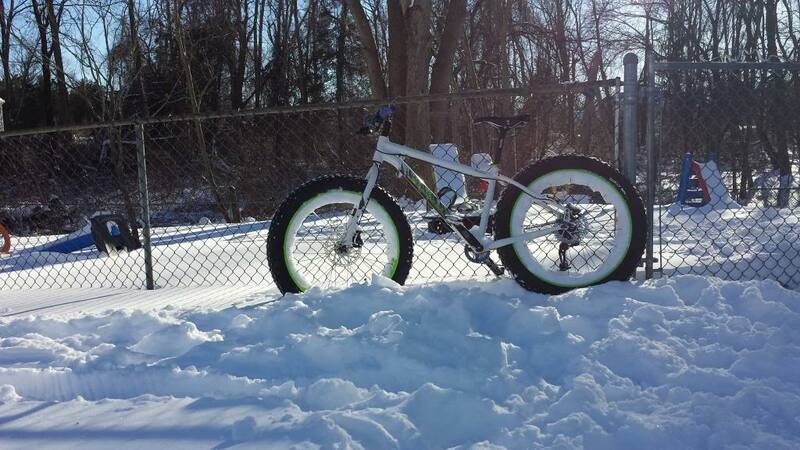 I like 5-6" of travel f/r with a well balanced rear suspension that can put the power down and bomb on the downhills. On another note, I rode a Specialized Status II at Winter Park, CO...Wow the suspension was incredible. I could bomb over the most technical terrain I've ever seen with ease. I couldn't even imagine riding a trail bike on some of the stuff there but it was a blast. I can't wait to go back next year. By the way, do you still have those elixir CRs for sale? I never got around to getting some XTs and I'm kinda back in the market for brakes. Mine are on their last leg and I definitely need to get some new ones for next season. You'd be surprised how well some All Mountain bikes can climb these days! I live for the downhills though, so I'd rather be slower up the hill but have a blast going down! I don't compete so having the best possible time isn't as much of a concern for me. Oh trust me i know. In central NJ there's not much elevation change so there's really no point in that much travel. Most of the guys actually run single speed rigid 29ers in my neck of the woods. But head an hour North of here and 4+ inches of suspension travel is more than welcome! Oh we don't have much elevation change here in the Midwest either! We do have some nice parks in my area, though. Hard to justify 6" travel but 4-5" is very welcome. I want to start going to Colorado more, though, so that's why I'm looking into some efficient 6" travel bikes. I love downhill bike parks, I would highly suggest going to one (especially Trestle Park, in Winter Park, CO) if you ever get the chance! i wanna go i wanna go i wanna go! Post Your Mountain Bike Pics!!! !